It is most common off the coast of Essex and in the Thames estuary (River Medway). There are also isolated populations in both North Wales and Cornwall. This week, P is for Petricolaria pholadiformis otherwise known as the False Angel Wing or the American Piddock. The American piddock is a bivalve mollusc that was imported accidentally from the USA where it is a native species (hence the common name). The current distribution of P. pholadiformis is that they are present along south and east coasts of England from Lyme Regis, Dorset, to the Humber. It is most common off the coast of Essex and in the Thames estuary (River Medway). There are also isolated populations in both North Wales and Cornwall. P. pholadiformis was introduced into Britain no later than 1890 (although there is no specific recorded introduction date). The first introduction point was the River Crouch, Essex, and it then spread to the other localised populations mentioned earlier. It has also been suggested that the species colonised several northern European countries by means of pelagic larval transports rather by clutching on to drifting algae and wood or freely via the water currents. It is also possible that adults travelled to the continent in drifting wood. There are now many European populations found from southern Norway down to the Mediterranean and Black Seas and was first observed in Belgium in 1899. In Belgium and The Netherlands, P. pholadiformis has almost completely wiped out the native piddock species, Barnea candida, and taken its place. 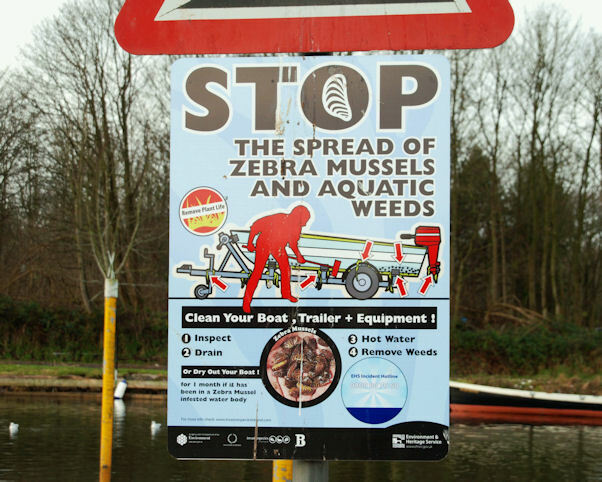 We also have this native species in Britain, although there is no evidence of one displacing the other in our waters. The introduction of this species is quite remarkable compared to the others on this list. P. pholadiformis was introduced unintentionally with the oyster Cassostrea virginica. The remarkable thing about this species is that it is a drilling bivalve. P. pholadiformis is a mechanical borer into hard clay, chalk, solid mud, peat-moss, wood and limestone from the midtide level to low water. Although dredged from a depth of 8 m, its occurrence in deeper water is not known. It is only found in fine sediments with an average grain size of <250?m, when the grain size is a lot smaller (100?m -150?m) there is even an occurrence of around 50%. The oxygen and nutrient content of the mud seems less of a priority than the actual sediment size. 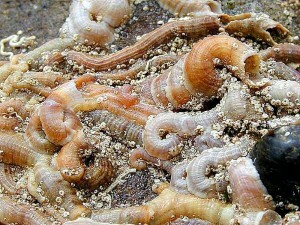 Living individuals are often washed ashore when they are loosened from the holes they have bored and empty shells are now a common sight on beaches. As to what it looks like, well it is easily confused with both Barnea candida and Cyrtopleura costata. 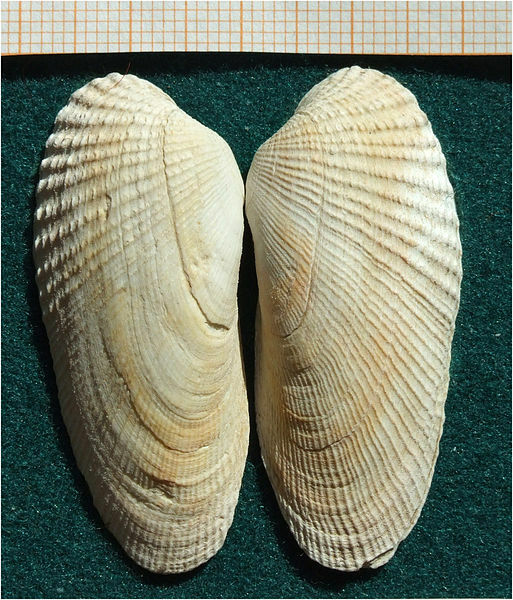 P. pholadiformes has a thin, fragile elongated shell up to 65mm long. The outside of the shell is covered with ribs radiating from the top that are crossed by the growth lines. The ribs in the front part under the top have pointed ends that are used to ‘bore’ through the substrate. The colour is lime white or yellowish white; older specimens are coloured brownish yellow. When the shell is open it looks exactly like a set of angels wings and it is a beautiful shell, although it is very brittle. There is no current attempts to stop this species from spreading nor any eradication attempts as far as I am aware. As there is no known detrimental effects to having it in our waters, I cannot see any work on removing this species happening in the future unless it does start to have an effect. This species is widespread in tropical areas, which means that its suspected point of origin is not conclusive. 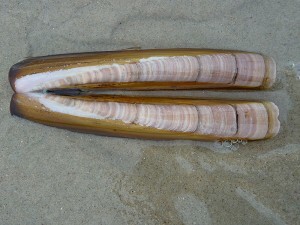 Dreissena polymorpha superficially resemble marine mussels in the family Mytilidae, and like them, are attached to solid substrates with a byssus. 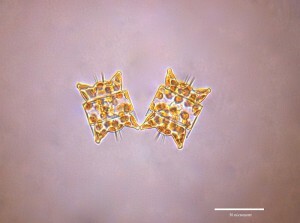 Cells are found either in isolation or in colony where they are organized in straight lines or in a zigzag pattern in the pelagic zone or sometimes attached to other marine species. As it has a thin and streamlined shell it can burrow in wet sand (and swim) very quickly with the help of its strong foot. It gets its common name because the shell looks like a straight razor and it can be very sharp.